Potential: capable of being, but not yet in existence. This definition best describes the life journey of Calvin Nowell. Pursuing purpose and destiny has been the path he has taken for most of his life. Knowing it was there but not understanding how to manifest it was the struggle he faced for years. Eventually, he decided to start somewhere. This Nashville-based artist had spent his entire life struggling with his weight until he found the strength and willpower to fight his final battle of the bulge. Now, 215 pounds lighter, Nowell brings new meaning to the term "living large." A worship leader, session singer, and songwriter since 2000, Nowell has recorded and toured with well-known artists such as Michael W. Smith, CeCe Winans, Fred Hammond, Nicole C. Mullen, and Israel Houghton. Two songs from his 2007 CD release, Start Somewhere ("Unrestrained" and "Receive"), have been featured on Worship Leader magazine's Song Discovery CDs. "Unrestrained" can be heard on recordings such as CeCe Winans' Pure Worship release, American Idol Mandisa's True Beauty release, and EMI gospel artist Myron Butler & Levi's Stronger. Calvin has appeared on Billy Graham's Television Special, ABC's Good Morning America, TBN's Praise the Lord, and the Dove Awards. 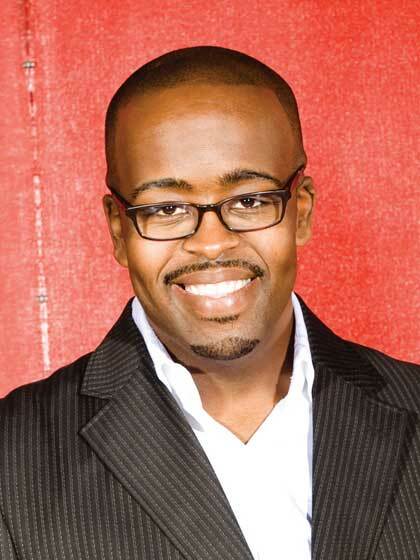 No longer relegated to the shadows as a background singer, Nowell has turned misery into ministry and is ready for his close-up as he brings his unique blend of music and testimony to audiences nationwide.